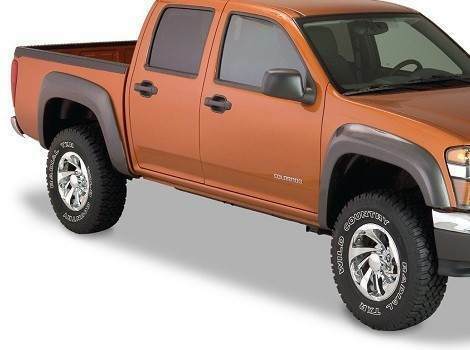 Drive by any construction site or road project and you will see at least one of the new Chevrolet Colorado compact trucks. As a replacement to the tried-and-true S10 platform, the Colorado has avoided the toy sect and been called on as a money earner and bread winner among truck owners. And cost-conscious truckers know protecting the investment is the way to reap the long terms benefits. 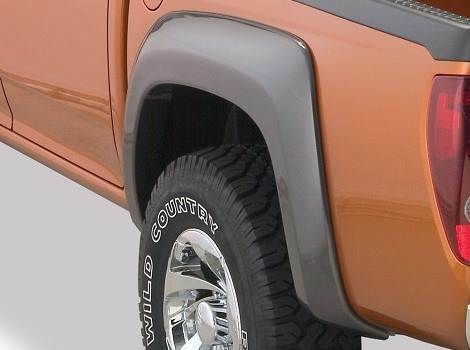 At PartCatalog.com we understand this way of thinking and offer up custom-fit fender flares for the Chevrolet Colorado. Keeping debris off the body and paint adds years to your investment. PartCatalog.com is there for that extra bit of protection when you’re too busy to think about it.